Its been over 12 hours since I left London, I feel tired, dehydrated, cramped and dazed as a walk down the aeroplane steps and into Mwanza International Airport arrivals gate. Firstly, its not a lounge, its a narrow corridor leading to the tiny immigration desk, which happens to be in-between the ticket desk and departures. We form a long queue of tired, dusty travellers, filling in the yellow landing cards, showing our yellow fever certificates and eyeing our bags as they are carried past us by porters to the luggage collection area (which incidentally is also the ticket desk and luggage leaving area, you understand our weariness!). As we queue for our visas and entry stamps people squeeze through us trying to get from the ticket desk to departures. I finally get my visa stamped, grab my luggage and get it inspected before being lead to the arrivals greeting hall, which is big, spacious and largely empty. My driver is there with our collaborator, they have been waiting over two hours for me. Its the 1st of May, labour day and a bank holiday. Needless to say, I feel a bit guilty about this. We leave the airport and head to Mwanza town, finally driving next to Lake Victoria (aka Lake Nyanza) and as always I gaze in wonderment at the sheer size of the lake. The second largest freshwater lake in the world, approximately 69, 480km2 (26,800miles2), it's the size of a small country. In fact it is twice the size of Belgium and it certainly looks more like a small sea rather than a lake, spanning over the horizon in some areas and bordered by three countries, Uganda, Kenya and Tanzania. Located in the plateau between the Western and Easter Rift Valleys (a rift valley is caused by the separation of tectonic plates pulling apart the Earth’s crust) it is a shallow lake with a maximum depth of about 82m. Estimated to have been formed around 400,000 years ago, the lake is relatively young by geological standards. 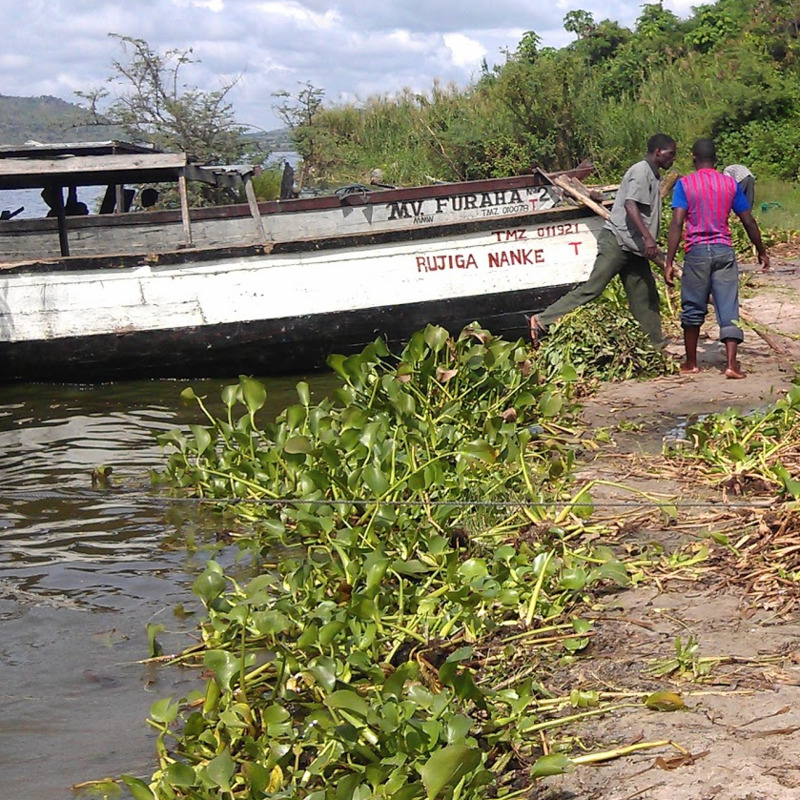 Its main sources are the Kagera River flowing in from Burundi, and the Katonga river from Uganda. Lake Victoria itself flows into the Victoria Nile one of the sources of the Nile. In fact it was during a British led expedition to discover the source of the Nile that John Hanning Speke sighted the great lake in 1858, he named it after Queen Victoria of England. His book "The Discovery of the Source of The Nile" documents his travels to Lake Victoria. Once upon a time, Lake Victoria had a unique ecosystem, incredibly diverse with over 500 species of fish most of which only existed in its clean waters. The majority of the fish found in the lake belonged to the Cichlidae family, (more specifically to the East African cichlid tribe) a group of fish species with an awesome ability for adaptive radiation (a term used to describe the evolution from one original species into several new species each suited to a particular ecological niche) often involving wonderfully flamboyant colours and diverse feeding techniques. 1) The purposeful and accidental introduction of invasive species; For example, the Nile Tilapia, Orechromis niloticus (right image) and the Nile Perch, Lates nicloticus were purposefully introduced to boost the fishing industry of the lake. Regrettably this proved to be disastrous for the indigenous fish of the lake and the people relying on fish as a source of food: the Nile Perch is a voracious predator with a predilection for the native cichlid species, hunting them very aggressively. In addition it is not favoured by the locals due to its heavy oily texture and is mainly exported to richer nations, thus it is generally not consumed by the local population (thankfully the Nile Tilapia is less evil and yummy). Another example of an (accidentally) introduced invasive species in the lake is the water hyacinth, Eichhornia crassipes. Originally native to South America, this plant forms huge mats which can block off a) important waterways for the native fish species and b) surface light which feeds the phytoplankton prey of some of the native fish species. It is also a hazard to boats and fishermen of the lake. Although the argument can also be made that by virtue of the thick mats it forms, the water hyacinth can provide areas of safe refuge to small/young fish from predators such as the Nile Perch and, in fact, from fishermen. 2) Pollution from industry and agriculture led to an explosion of blue-green algae populations - termed algal blooms. These algal blooms feed off the chemical run-offs from industries. Eventually the blooms die back and start to decay, feeding oxygen-hungry bacteria. These bacteria cause a heavy depletion in the dissolved oxygen level of the water, a process called eutrophication. The dissolved oxygen in the water is what fish "breath" through there gills. Without it there can be no aquatic life. Thus the pollution creates a domino effect, increasing algae which increase oxygen-hungry bacteria, and the ultimate conclusion is a reduction in the lake's ability to sustain life. However it is not all doom and gloom for good old lake Vic. Firstly the introduced Nile Tilapia is delicious and by far my favourite of the freshwater fish (OK that may be more of a personal bit of good news). Secondly, there is now evidence that the ecosystem of the lake has stabilized with the Nile Perch as a top fish predator (crocodiles being on top and humans being the most predatory). There has even been some exciting news about the discovery of a new cichlid species in Lake Victoria. For a more detailed article on the decline and eventual stabilization of the cichlid population of the lake read this excellent Nature article published in 2010. And thirdly the East African Community (EAC) has sprung into action to fight the pollution and waste run-off by setting up the Lake Victoria Basin Commission (LVBC) projects which include such initiatives as the Lake Victoria Water and Sanitation Initiatives Project (with UN-HABITAT) and the Lake Victoria Environmental Management Project. Hopefully with a bit of good management and care Lake Victoria will remain a flourishing, although altered, freshwater ecosystem. There is also a huge incentive to protect the great lake which is in the most densely populated area of East Africa. It is estimated that the lake supports some 30 million people, potentially more by providing food, water and work to the families and villages living near its beautiful, yet still heavily polluted, shores. Dear old Lake Vic needs a bit of help so it can continue to support the abundance of human, animal and plant life dependent on it.